We have been busy promoting the Learning in Afterschool learning principles to stakeholders across California and the nation and engaging youth leaders as Afterschool Ambassadors. Click here to get our latest Winter 2011 update on our activities. We have been following the ESEA reauthorization as it effects the future of the 21st Century CLCs. We have also tried to keep our readers informed on the definition of "extended learning opportunities," as it may rewrite the definition of afterschool. The Collaborative for Building After-School Systems authored a comprehensive memorandum to Senator Harkin, Chairperson of the Senate Health, Education, Labor and Pensions Committee. This memorandum offers a good overview of the discussions taking place regarding federally funded afterschool. The other key senators include Sen. Michael B. Enzi of Wyoming, the top Republican, Sen. Lamar Alexander, R-Tenn., himself a former Secretary of Education under President George H.W. Bush, and Sen. Jeff Bingaman, D-N.M.
We share this document here in hopes that our readers will identify the positions that they agree or disagree with. The ESEA reauthorization is also being closely followed by The Afterschool Alliance. You can visit their website to follow the most recent developments. 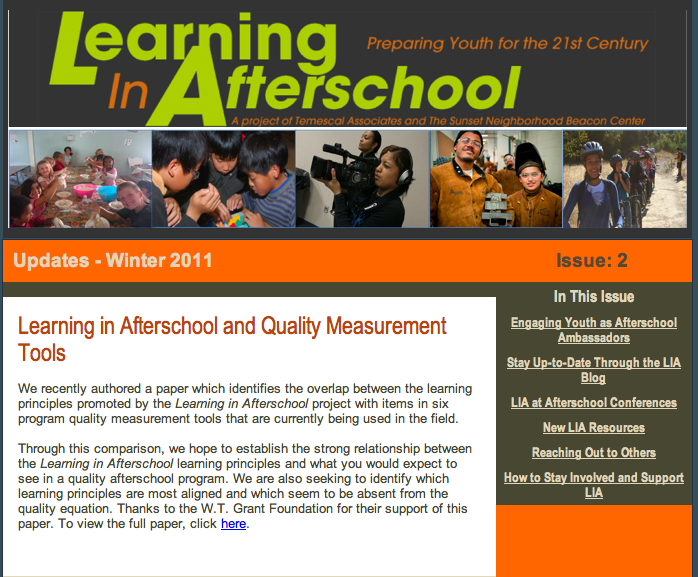 We share other resources on recent developments in education on our Learning in Afterschool website. To follow afterschool policy in California, you can visit the California Afterschool Advocacy Alliance (CA3) website. 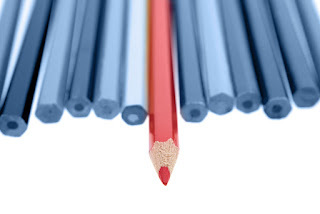 During the roll out of the Learning in Afterschool project, several afterschool leaders asked how the Learning in Afterschool learning principles correspond to afterschool quality measurement tools that are currently being used in the field. In response, we offer this paper, which identifies the overlap between the learning principles promoted by the Learning in Afterschool project with six program quality measurement tools. Through this comparison, authors Sam Piha and Corey Newhouse establish the strong relationship between the Learning in Afterschool learning principles and what you would expect to see in a quality afterschool program. This paper identifies which learning principles are most aligned with program quality measurement tools and which seem to be absent from the quality equation. 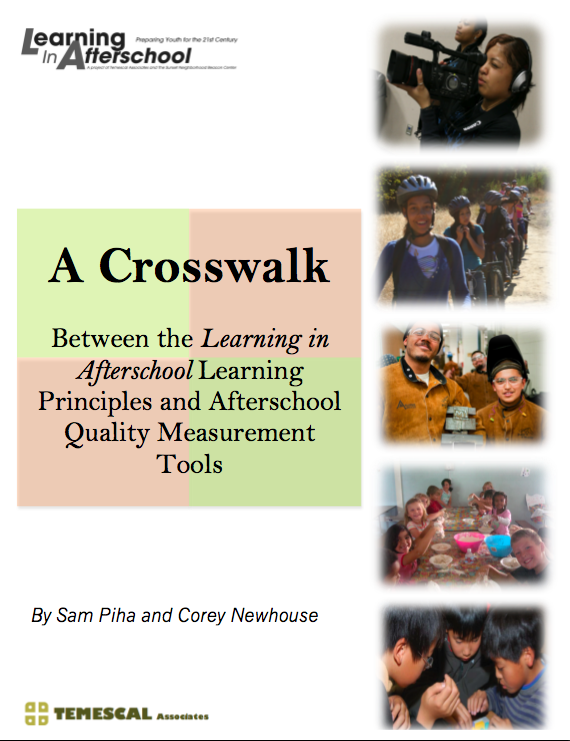 To view a copy of A Crosswalk Between the Learning in Afterschool Learning Principles and Afterschool Quality Measurement Tools, click here. 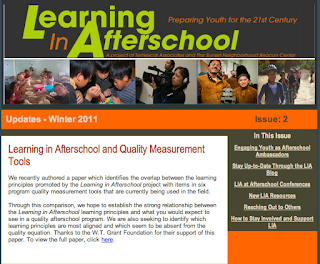 For an excellent review of well-tested afterschool program quality tools, see Measuring Youth Program Quality by Nicole Yohalem and Alicia Wilson-Ahlstrom. at Georgia Health Sciences University. In the past, we have used this blog to promote the importance of active, physical activity within afterschool programs. A new study published in Health Psychology revealed that children in afterschool programs in Georgia engaging in regular exercise performed better on goal-oriented tasks and improved their math skills. According to Dr. Catherine L. Davis, associate professor of pediatrics at Georgia Health Sciences University, "You have to use your brain to exercise. It is not just that you are using your muscles. Your brain is coordinating your movements. Your brain is issuing the commands to the body to do the exercise. So it may be a direct stimulation of the neurons that are needed to exercise that makes the difference." 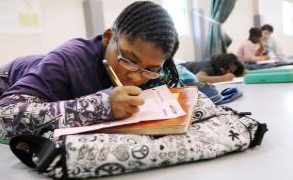 For a discussion of this study from Education Week, click here.